1. First of all, it’s usually good to try 1, 0, and –1, if for no other reason than: they are usually very easy to plug in. 2. You almost always have to consider: a positive number greater than 1, a positive decimal less than 1, a negative number less than –1, and a negative decimal between zero and –1. 3. Notice that the quartet outlined in (b) is centered around zero. If there’s some prominent algebraic factor that has a obvious root ––– e.g. the factor (x – 5) has a root at x = 5 –––– then it may well be pertinent to test both that root and a quartet analogous to the one in (b) centered around that root. For example, if the factor (x – 5) were prominent, in the problem, then I would test the root x = 5 as well as x = 7, x = 5.1, x = 4.9, x = 3. Now, that is a hyper–thorough list, and it would be very time–consuming to go through that entire procedure each and every time. The nature of the problem often will allow you to streamline things. For example, for any value that only appears in squared form, you don’t have to consider both positive and negative values, since both square to positive. Also, remember: for Data Sufficiency questions, when you are trying to prove a statement insufficient, all you need are two possibilities – each one yields a different answer. Once you have two different conclusions, and the statement is insufficient, you can stop picking. It’s only when you suspect a statement is sufficient that you have to exhaust every possibility to try to disprove its sufficiency. Below are a couple DS problems, and in the solutions, I talk more specifically about the number–picking strategies I employ. (A) Statement (1) ALONE is sufficient, but statement (2) alone is not sufficient to answer the question asked. (B) Statement (2) ALONE is sufficient, but statement (1) alone is not sufficient to answer the question asked. (D) EACH statement ALONE is sufficient to answer the question asked. (E) Statements (1) and (2) TOGETHER are NOT sufficient to answer the question asked, and additional data specific to the problem are needed. (C) BOTH statements (1) and (2) TOGETHER are sufficient to answer the question asked, but NEITHER statement ALONE is sufficient to answer the question asked. BUT, since the factor is squared, we don’t need the final two; when we subtract 5, they will result in negatives, which will duplicate the positives when squared. Right there, two numbers lead to two different conclusions. Any condition that allows us to plug in both 5.1 and 7 would be insufficient. for all negative values of x. This statement allows both x = 5.1 and x = 7, so we already know it’s insufficient. We know that 1/25 is much smaller than one, and as the denominator gets bigger and bigger, those fractions will just get smaller and smaller. They will always be smaller than one, so x > 1 >1/(number bigger than 25). This statement is enough to conclude that x is always greater. Statement #2 is sufficient. = 2/5. Making the denominator bigger makes the fraction smaller. , and the inequality is still true. , which is more negative, so now the inequality is false. Notice that I didn’t even consider fractions, because, up until this point in the problem, I didn’t have to. I was able to find different integer values that led to different conclusions. , which is also permitted, and the inequality is false for that choice. Two choices, two different conclusions. Statement #1 by itself is insufficient. , and the inequality is false for these. Two choices, two different conclusions. Statement #2 by itself is insufficient. These choices make the inequality false. Two different choices for the variables, two different conclusions. Even together, Statements #1 and #2 are insufficient. Thank you for catching that typo. I just fixed that. Thanks for pointing this out. I have a doubt in the second question. I don’t seem to get how the inequality y/x > y/x+y stands true when you plug in x= -2 and y=3. I’m very sorry. That was a mistake on my part. When we plug in x= -2 and y=3, the inequality is indeed FALSE. Thank you very much for pointing this out, my friend! I just rewrote the solution to that problem: the answer is the same, but a few things in the solution needed to be changed. Thanks again! 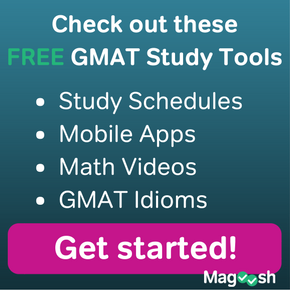 Oh my Gosh…………….Gmat is really evil. Totally insane. Okay yeah, this page is a toughie if I ever saw one; I have looked at it twice on two difference occasions and can only seem to get through half of Q#2 each time. An I still don’t fully get Question 1- your explanation of why you choose 7 and 5.1, even though there are details. Also, despite my confusion, when you were substituting x & y into th original prompt equation for Q2, did you invert the two? If so, this is furthering my difficulty here. Not sure. It’s the kind of intuition you get by playing around with numbers for fun. If you are the kind of person who only deals with numbers when you absolutely have to, then this intuition might seem puzzling. For example, for #1, I would say an excellent exercise for you would be to plug in all the numbers from 1 to 10 (except 5), just to get a sense of the patterns. You will see that the right side is biggest between 4 and 6, so plug in decimals in that range as well. 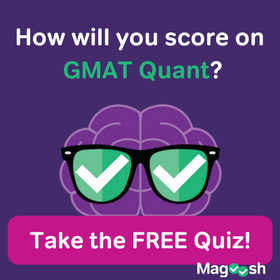 Forget about practicing these two question in an “efficient” GMAT-solving mode. Each one of these would be an excellent one to spend 30+ minutes on, just plugging in a ton of numbers and understanding why they follow the patterns they do. You might also think about graphing it — say, in #1, making a graph of y = x and of y = 1/(x-5)^2. If you have any kind of graphing calculator or graphical software available, plug these in. The visual perspective can be a powerful complement for the numerical perspective. You really understand if you understand how both the picture and the patterns among the numbers follow directly from the algebraic expressions. In general, I’m going to guess that, because math is a challenge area for you, you haven’t taken the time to play with numbers in an open-ended way. People usually avoid the things they don’t like, and that compounds the frustration. 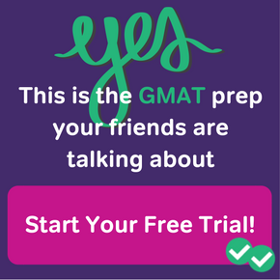 It would be very helpful for you, whenever you come across a totally puzzling GMAT problem for you, to forget about solving it in a time-constrained GMAT mode, and just spend 30+ minutes exploring the numerical patterns with every possible choice. It’s only by playing with numbers and observing the patterns that you will develop the intuition that makes choices like the ones I have made here relatively clear. 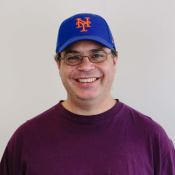 It’s nothing that anyone else can give you, and there’s no substitute for doing the hard word, the time-consuming work, of playing with the numbers for yourself. I have the same confusion as RT when reviewing Q#2. I read your reply but I didn’t see where you addressed his question about plugging in the numbers for x and y. You chose x=2 and y=3, but then for y/x >y/x+y plugged in 2/3>2/2+3. Am I missing some rule with inequalities? I’m happy to respond. 🙂 As you may appreciate, plugging in numbers on the DS is a very effective way to demonstrate a lack of sufficiency. The trick is to plug in two different sets of numbers that produce two different answer. When I plugged in x = 2 and y = 3, I got that (2/3) and (2/5), and indeed, (2/3) > (2/5), so we get a “YES” answer to the prompt question. Fine, we got our YES, which is value for each statement individually and for the combined statements. In fact, any two positive integers would produce this same YES answer. That’s the very easy answer to get. The hard answer to get is the NO, the case in which (y/x) < y/(x + y). As it turns out, for this we need to dip into opposite signed fractions, a region that the more lily-livered GMAT takers will avoid on principle. Here's what I will say. Don't believe me. Plug in all the numbers for yourself. Math is not a spectator sport. You only understand it by doing it yourself. Plug in two positive fractions, then plug in two negative fractions, and then plug in one positive and one negative. See for yourself whether the prompt question has a YES or NO answer in each case. It's by playing with number that you build number sense, and there's no substitute for doing it yourself.